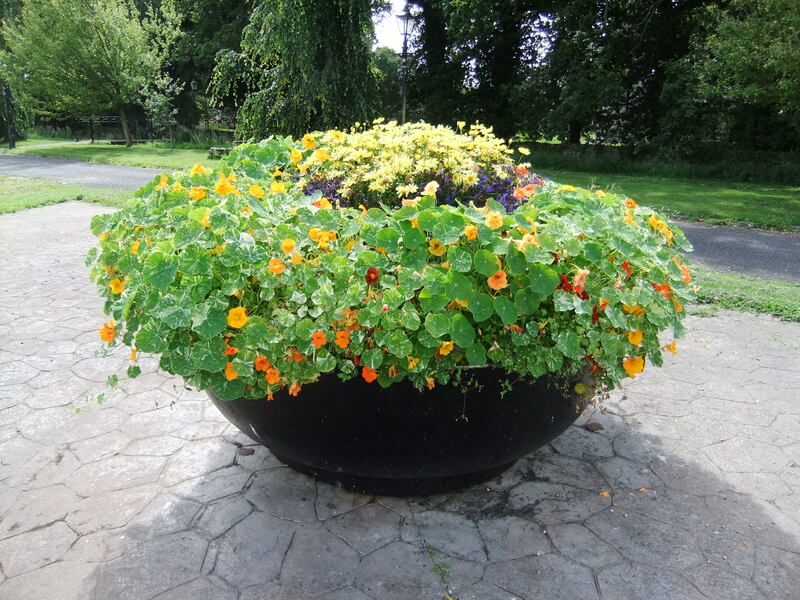 On our recent visit to the village of Timahoe in County Laois, I saw an unusually large old pot used as a container for some lovely flowers. “That’s a famine pot,” a local lady informed us. Apparently there are famine pots throughout the island of Ireland, a reminder of the terrible potato famine which resulted in the deaths of approximately one million people in many parts of the country between 1844 and 1852. These pots were left in a village square or green and filled with food by those who could afford to do so – in order to meet the needs of the starving. Famine… it is difficult to imagine those terrible hunger pangs in our western society, where we have an assortment of food and plenty of it – even freely available when necessary, at certain outlets for those who are not so well off. “It is written…” Jesus always used these words before every statement He made to the devil, during that time when He was tempted in the wilderness. Could it be that many who claim to know the Lord today are being tempted and entertained by the devil, but they cannot say “it is written…” because perhaps they have no knowledge of what is actually written. How wonderful to have access to God’s Word in all its truth and purity! It is there for us to read and appreciate; it is there to guide us, to comfort us and to show us how to live – but it must be applied to our everyday lives. Lack of discernment and spiritual blindness are surely a result of not spending time with the Lord, listening to what He has to say to us through His precious Word and being willing to put Him first in our lives. There is no doubt that many changes have occurred in places of worship in the days in which we live. Many old hymns have been discarded for no valid reason; the mode of worship has completely changed in some quarters – often not for the better; while the Word of God has been twisted, often in sinister ways, to give credence to wrongful behaviour in today’s society.